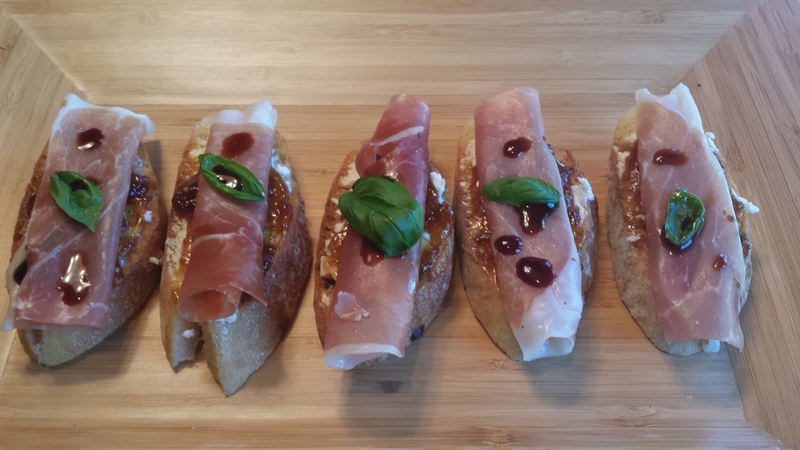 Barcellona Bites Blog | A Saucy Redhead's Culinary Adventures! 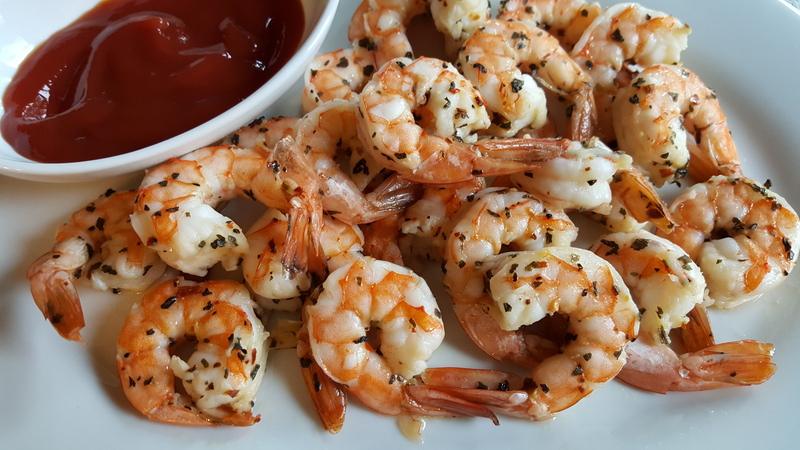 Check out this new post that I wrote for the Cooking with Covection Steam Blog on Garlic Herb Shrimp. Can I say that I’m in serious like with a trash can? I’m in the kitchen a lot, and my hands are often goopy, so I want a can that will open without my hands. I used to have one that would open automatically when I placed my hands over it, but it suffered a slow and painful death. Mostly it was painful for my patience as it wouldn’t open when I wanted it to. The best part of that trash can was how it scared people when they’d walk by and accidentally open it, a sort of kitchen physical comedy show. This is the greatest trash can I’ve ever owned. I’m a rabid fan. 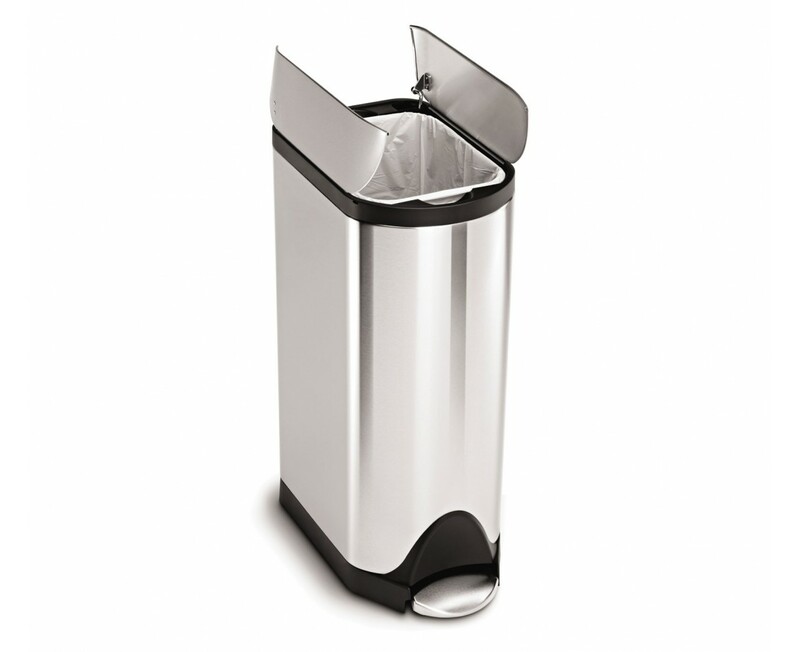 All in all, I love this trash can. It is stylish, really durable, opens easy, closes slowly, holds a ton, and the bags are super strong. While I won’t hang out in it all day like Oscar, I am usually hanging out with it in the kitchen. More to share from Isabella. Our next site was the Georgia Cannery in Stevenston. This was one of my favorite places I was able to shoot. 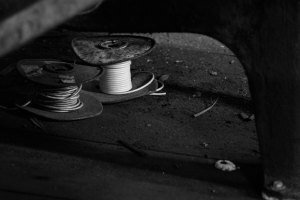 It was a big challenge because the light was not very cooperative and it was quite dark in the cannery with strange artificial lighting. 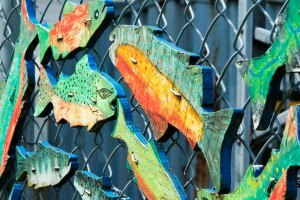 These colorful fish were attached to the fence outside of the building. This adorable dog was waiting for his owner right outside of the door. 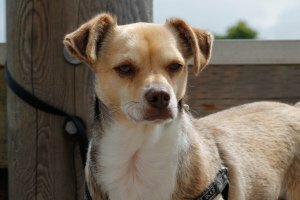 I thought his face conveys the thought “I don’t care” perfectly. Some cool object that were hanging on a wall. One of my favorite pictures from the trip. 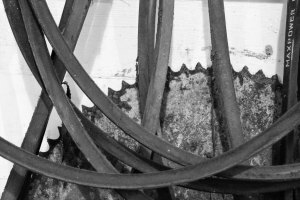 These were under some machinery in the back of a room and I thought they made an amazing black and white photograph. 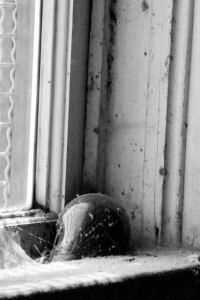 Walking out of the room where I took the previous picture was taken, I spied this old light bulb in the window and thought it looked cool. My daughter’s latest photos from her trip to Canada. I have to share. I was able to take the amazing opportunity to go to Vancouver, Canada with a photography class from my university. This will be documentation of some of my favorite photographs from this trip. 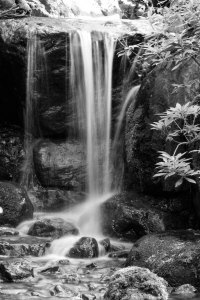 On the University of British Columbia campus in Vancouver there is a spectacular Japanese meditation garden. In my trip to Vancouver this was our first site we were shooting at. We arrived just before they opened the gates, and though it was small, there was much to look at. 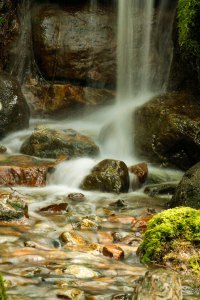 There was a small waterfall near the back of the garden and I decided to experiment with my shutter speed to show the flow of water. Toasty doesn’t adequately express the weather in Nor Cal right now — 104 degrees today! In the famous words of the Wicked Witch of the West, “I’m melting!! !” A tall glass of iced tea sounds particularly nice right now, and since it is National Iced Tea Day today, particularly appropriate. 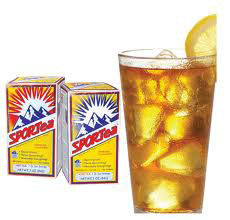 I posted this day last year too and listed a link to get a free sample of my favorite iced tea, SPORTea. This tea is super tasty and energizing, but has no caffeine. I lived on the stuff when I was pregnant with both of my girls. I buy mine at Elliott’s Natural Foods (several locations in Greater Sac Area), but I’ve seen it at Whole Foods and I know you can purchase it at a variety of locations online including the SPORTea website. If you’re Amazon Prime members, you can order and get free 2-day delivery. My favorite tea is SPORTea! Today is National Donut Day! When I was at Pepperdine University, we’d zip along PCH, speed up the incline to Santa Monica and hang out at Pier or the mall. Inside the mall was a donut palce, which I thought was kind of wierd, but we always seemed to stop by there. 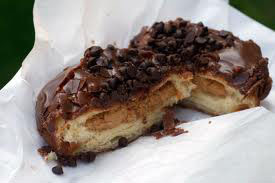 They had GI-NOR-MOUS peanutbutter and chocolate donuts, kind of like the one pictured here. Everyone knows that PB and chocolate is my all time favorite food combo, so any time I entered the mall, it would call to my belly and chubbie thighs. A donut for Resse’s Peanut Butter Cup fans. Now, this was really a land mass of a donut. I can’t imagine the amount of calories, fat and sugar that was in that thing. It certainly didn’t help aleviate the Freshman 15. Even splitting it with a friend, we’d both feel sick afterward — but it was soooo worth it! I still haven’t tried the cronut but I want to. I hear the original place that invented them no longer make them, so I’ll have to find a good imposter somewhere or do a homemade version.